Truth be told, it’s probably a bit of both. I don’t tend to be a big brand follower, but once I find a product I like I tend to stick to it. And yes – I am most certainly a lazy shopper! I may occasionally try something new because it’s on special or some bit of marketing appealed to me on some level, but in general I tend to stick to what I know. But to get to the stickiness point, the manufacturer had to get you hooked on their brand in the first instance. So how has Nivea achieved this? I reckon it has been by appealing to the practical nature of their target market. 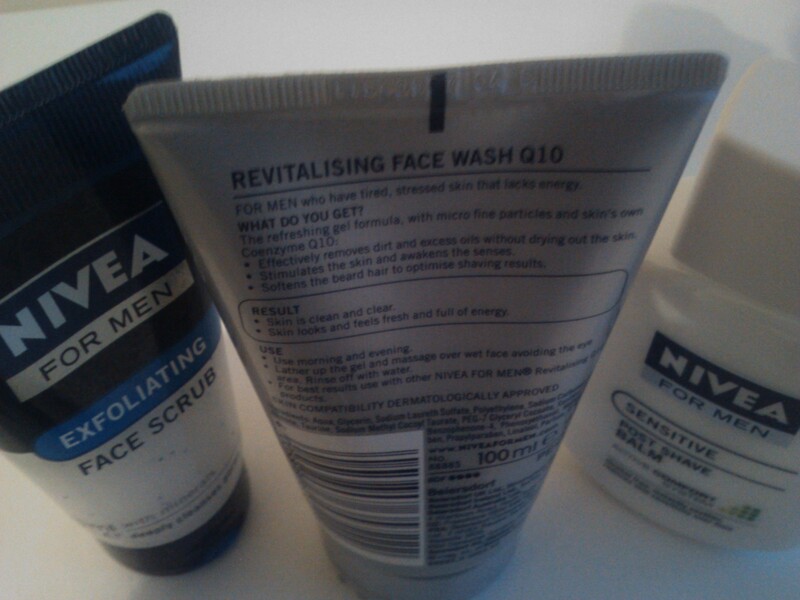 Nivea makes it pretty damn easy to figure out what each product does, how it works and how to use with this information clearly spelt out on the labels of most Nivea For Men products. Three bold all-capitals headings read: WHAT DO YOU GET?, RESULTS & USE, with two to three bullet points under each. What more does a guy need to know? We don’t need to be told what herbs and natural extracts combine into a climatic crescendo of superlative adjectives that’ll make your skin tingle just reading the label. Nivea’s marketing has also been well targeted. I cannot recall seeing any above the line advertising for Nivea For Men, but I have on several occasions seen, and received samples from, promo people on the street. In fact, this is exactly how I started using the shaving cream. What do you think? Which other brands have successfully expanded its range beyond its traditional base? What’s the secret to selling cosmetics to guys? This entry was posted on 27/02/2012 at 9:01 pm and is filed under Lifestyle, Marketing. You can follow any responses to this entry through the RSS 2.0 feed. Both comments and pings are currently closed.